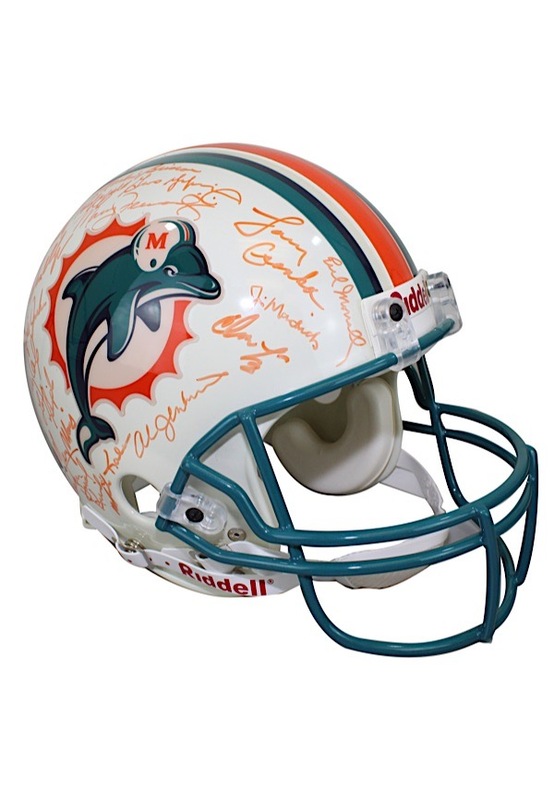 The 1972 Super Bowl Champion Miami Dolphins are the only team to complete a “perfect season.” Offered is a full size Riddell football helmet team-signed by the Super Bowl Champions. The signatures are highlighted Hall of Famers Bob Griese, Larry Csonka, and Paul Warfield. Additional signatures include Manny Fernandez, Earl Morrall and others. All signatures are done in orange ink and in our opinion rate a strong 8 overall. Accompanied by a LOA from JSA.